A Disunited Kingdom: Will Britain Face the Soviet Union’s Fate? Will Great Britain face the same fate that the Soviet Union faced 30 years ago? One of the outcomes of Brexit could be that Scotland and Northern Ireland, whose populations for the most part voted to remain in the EU, could withdraw from the UK. For London, losing Scotland would be like losing Ukraine was for Moscow, since Scotland is where Britain deploys its nuclear weapons and naval bases. In order to prevent such a course of events, the ruling elite will do everything within its power to insist upon a new referendum. The EU will not object to this, because Brexit could seriously damage continental Europe as well. Following the example of Ireland, where after a first referendum resulted in a vote against the Treaty of Lisbon, another vote was taken, the British could also be sent to the ballot boxes a second time in order to achieve the “right” result. However, wouldn't such manipulation harm liberal democracy? ﻿On October 29, 2018, German Chancellor Angela Merkel announced that she would not run for the CDU presidency in the December elections. Since the post of chancellor can only be held by the chairman of the CDU, in 2021 it will be occupied by someone else, which can lead to significant changes in the country’s domestic and foreign policy. After Brexit, Theresa May wants to retain all the privileges England had in the era of EU membership. But the EU understands that it would mean its further collapse, because if a country that quits the union could in fact retain about 80% of its membership privileges not paying its coffers – this is nonsense, since it undermines the union’s foundations. In July and August, May met with European leaders Emmanuel Macron and Angela Merkel, discussing the conditions for the UK’s withdrawal from the EU. 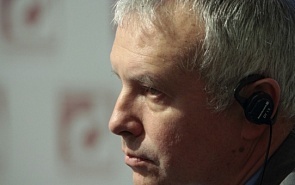 In an interview with valdaiclub.com, Alexander Rahr discussed whether England will succeed in achieving a kind of “semi-membership” from the EU and stay in the win. ﻿The visit of German President Frank-Walter Steinmeier to Moscow was not very significant. This is not an official state visit. Germany refused to give it such a status, because it decided that the solemn decor is not timely yet, Alexander Rahr, the scientific director of the German-Russian forum, said in an interview with valdaiclub.com. ﻿The EU's foreign policy is aimed to promote liberal values, therefore in order to "teach a lesson" to Turkish President Recep Tayyip Erdogan the Europeans are ready to further exacerbate relations with Ankara, even to the detriment of themselves. The question of Russia's return to the G7 is not on the agenda of the summit. Trump's internal political problems, the pre-election situation in France, the UK and Germany will bring additional nervousness to the dialogue. Each of the leaders will want to demonstrate, first of all, to the domestic audience, that he keeps the situation under control, that his opinion is worthwhile. The fact is that Russia uses the language of classical diplomacy, the language of interests. As for Europe (and Merkel in particular), the approaches of values prevail there - everyone sees everything only through the prism of human rights. There are no economic interests, strategies, there is one main thing - you should respect human rights and move to democracy. Will Europe Make Its Own ‘Turn to the East’? Merkel may have to step over her own principles, stop looking at world trade within the constraints of liberal values and reorient itself to Asia. It’s an open question, whether China would agree to give up its ripening leadership in Asia-Pacific when the US is disengaging from it. The most natural solution for Germany would be to build cooperation with the Eurasian Economic Union, but it is unlikely to do this.